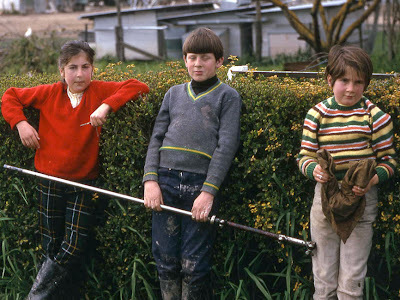 For some reason, I found this photo, displayed in our local museum (the Poterne, more of which later) quite disturbing. 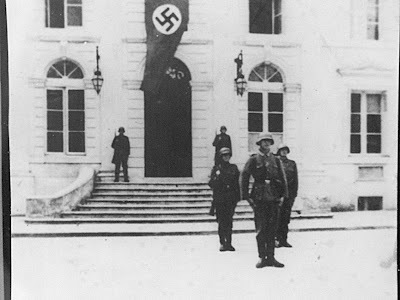 You may recognise the building as being our Mairie (as seen at the bottom of this post) and was taken in 1942. Woohoo! I finally (after many attempts) found the way to the chateau at Le Blanc. From there you get a good uninterrupted view of the railway viaduct. Le Blanc has taken over from Richelieu as the place where it always rains when I visit. 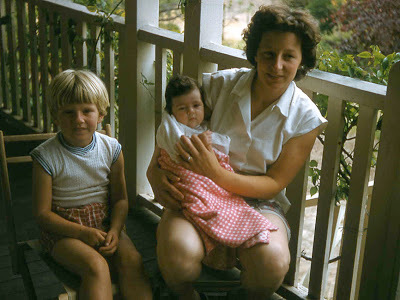 This visit was with my Uncle Geoff and Aunt Pat, who stayed for a week in mid August at l'Image. We made it to the centre of the viaduct along the walking path, but going any further would have been to tempt fate. 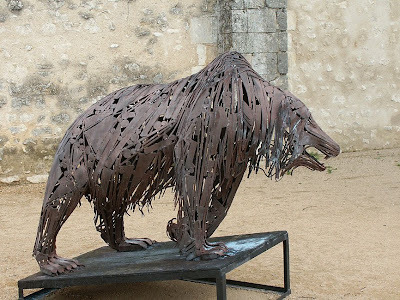 We just missed an exhibition of sculpture while we were at the chateau. This piece was outside awaiting removal. If I was rich I would have paid good hard cash for it. 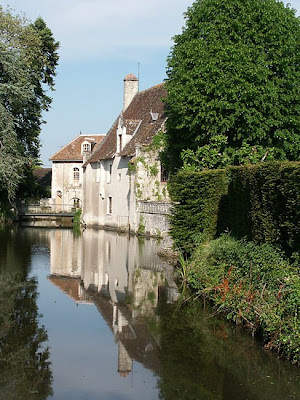 This idyllic place is the convent at St Michel en Brenne. The intrepid nun featured a few weeks ago is often to be seen working in the potager (vegetable garden). 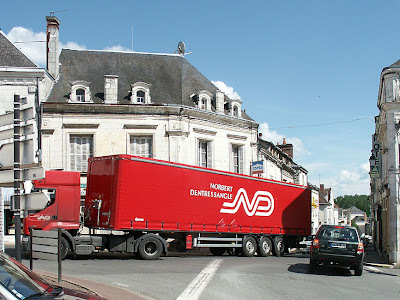 The main street of Preuilly can be tricky enough in a car (we know at least one person who simply refuses to drive down it) but in a semi-trailer it takes even more skill and patience. La Grande Rue is two cars wide (just), but the problem arises because parking is allowed on one side of the street. Consequently, those going down the hill frequently have to stop at the top to allow those already on their way up to pass. 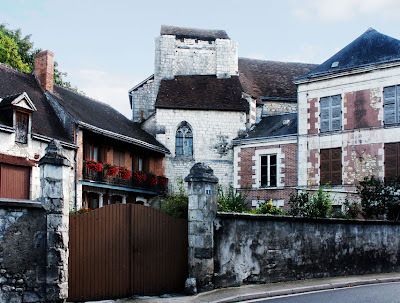 Coming up the hill, the problem is compounded for a large vehicle because they are generally wanting to turn hard right on to the road to Loches, which means that they have to swing out on to the left hand side of the road to get round. Everyone has to be polite, patient and prepared to back up. 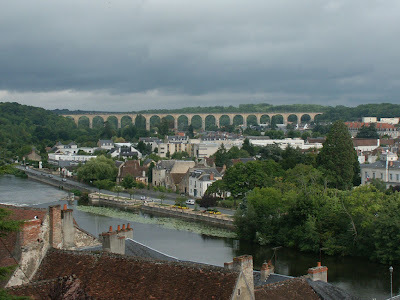 Many French towns have bypasses in order to solve similar issues, but Preuilly has not – probably because it would involve building a new bridge over the Claise. Neither are there traffic lights in Preuilly. Surprisingly, the arrangement very rarely leads to total mayhem or gridlock, but I am regularly astonished by the drivers who come whizzing round the corner at the bottom without a thought that someone may be coming down on the wrong side of the road – out of necessity because of parked cars on their own side, and unable to see around the corner at the bottom until they are already committed. Polite drivers with the imagination to see that it could just as easily be them wanting to come down one day, stop at the bottom and allow the downhillers through with good grace. The occasional driver is apparently completely unable to see why his/her progress is being impeded in this utterly inconsiderate way – after all, they are clearly in much more of a hurry and on much more important business than this fool on the wrong side of the road – can't they reverse any faster?! 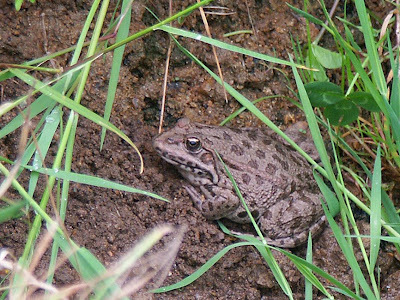 There are 13 species of frogs and toads that may be seen around Preuilly, but really you are only likely to see one species of toad, one species of tree frog and the green frog group which is made up of two species and their hybrid the Edible Frog. 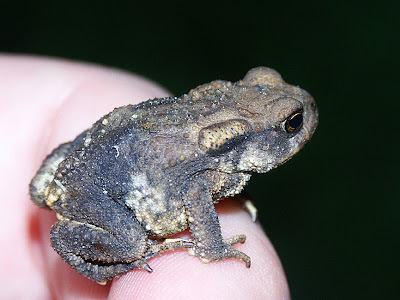 This little guy is a male Common Toad (Crapaud commun) Bufo bufo. He was photographed in September on the banks of the Creuse, below the walls of the Château de la Guerche. Note his dry warty skin. This equally cute little chap is a Common Tree Frog (Rainette verte) Hyla arborea, photographed in the Réserve Naturelle de la Chérine in the Brenne in July. Note the smooth waxy looking skin, the sticky finger pads and the dark stripe extending all the way down the flank. 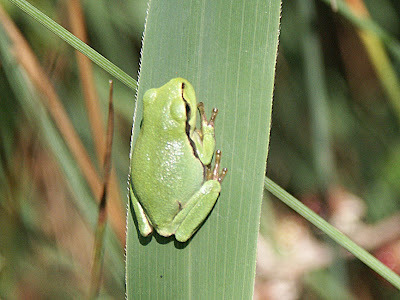 The following three photographs are of frogs in the Green Frog group. They are virtually impossible to separate to species level with certainty in the field, so most naturalists take the easy way out and simply refer to the group name. These are the frogs you will see and hear in every body of water from ditches to ponds to slow moving rivers. 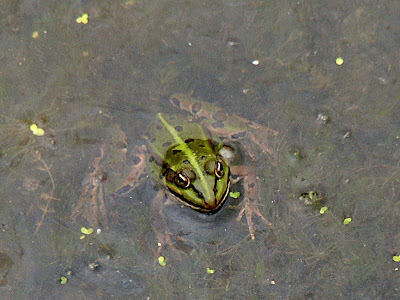 This one is of the type regarded as the Pool Frog (Grenouille de Lessona) Pelophylax lessonae. It was photographed in the pool at the entrance to the visitor centre at the Réserve Naturelle de la Chérine. Note its bright green colour and clearly defined markings. 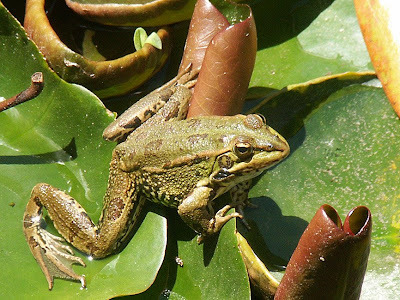 This one is of the type regarded as the Marsh Frog (Grenouille rieuse) Pelophylax ridibundus, photographed in the Charente in May. Note its duller brown colour and relatively large size. Finally, this one is a rather dull green in colour, with less contrasting markings. It conforms to the type regarded as Edible Frogs (Grenouille verte) Pelophylax kl. esculentus , the hybrid produced by the interbreeding of Pool and Marsh Frogs, and displaying a blend of the two species characteristics. The hybrids can also interbreed and breed with either of the species, so you get a vast number of variations in size, colour, pattern and call. 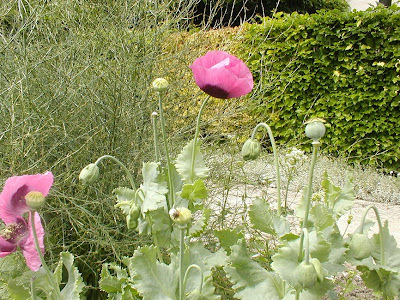 This one was photographed in May in the pool in the arboretum garden in Loches. There is a good website for French species called Reptiles & Amphibiens de France (in French or English, with distribution maps, full descriptions and photos, includes snakes and lizards, frogs and toads, newts and salamanders and tortoises). 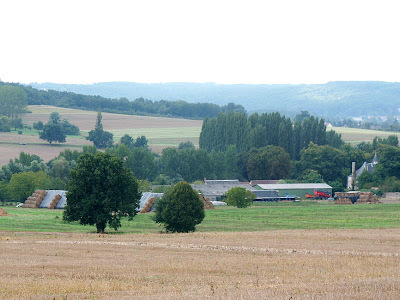 I was going to post this photo, taken last Sunday, as a "guess which village near Preuilly this is" contest, with the usual prize of nothing. Instead, it is a "guess what the fatal flaw in the original contest is" contest. 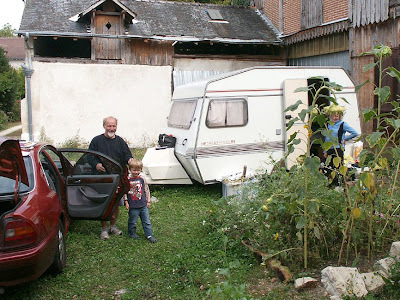 Adrian arrived (with Caroline and Corey) in Preuilly on Wednesday after two months towing his caravan around Europe behind the Ademobil. The plan is that he will leave the van in our garage so that we can use it while he is in the USA. This means for the moment we have another room to use - and probably more importantly, a washing machine so I don't have to wait for the rain to rinse my washing. Susan's parents in May and then her sister and brother-in law in August, and Adrian and family in July. Last year my parents were here in June, Liselle in May, and Rick and Helen in July. 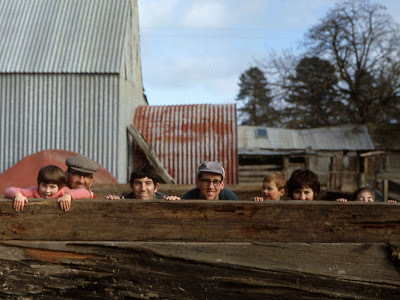 While we are impecunious awaiting the sale of my house in Australia they have distracted us from the worry of not getting the major works done. We have had fun showing them our new home and the attractions surrounding it, and ocasionally have had a bit of a giggle working on the house - here for instance, and here. Now Summer is over, however, and the all the visitors from warmer climes have departed for somewhere less chilly. Preuilly in winter has its charms, but for the moment they are left the exclusive domain of those of us who live here (or intend to do so). So thanks to all the visitors. When you return we hope we can show you the house renovated. 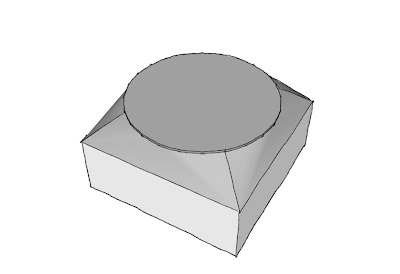 A useful thing wot I found out. I am Asthmatic. Not badly so, but like most medical things, it needs management. This trip to France has been a couple of weeks longer than I had planned. Firstly because I was waiting for it not to look like it was going to rain (so I could paint), and then because I was waiting for Adrian to arrive with the caravan (more on that later), and then because we decided Susan would come down after her annual conference. All this means that medical supplies were getting low. The one medicine I need to have available is ventolin (salbutamol) inhalers. These are available on prescription in the UK at £7 for two inhalers, or £16 over the counter for one inhaler. 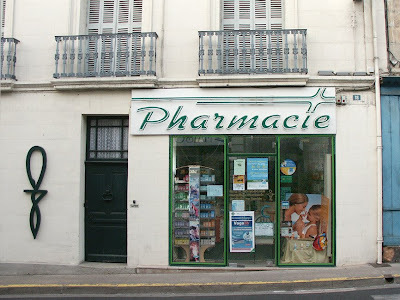 I sent a text message to Susan asking her to get a prescription made out and filled*, and also to find out if Ventolin is available across the counter in France. As she is gearing up to Annual Conference, this is a bit of a bind. next to Intermarche in Yzeures, simply because that's where I was. 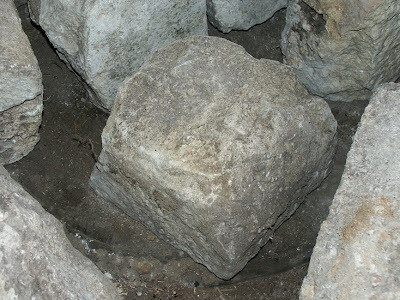 At first, this stone which I dug out of the garden may not look like much. Get it in the right light, however, and a much more interesting picture emerges. 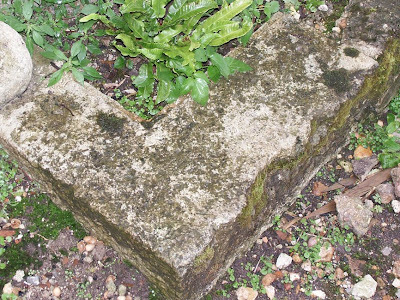 Likewise with this piece of stone which forms part of our "garden" border. 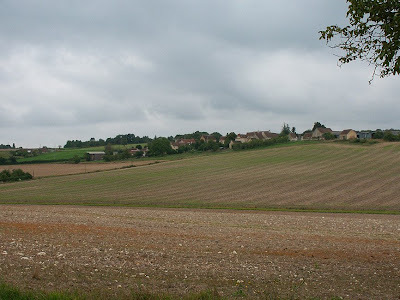 One of the reasons we started this blog was because eventually we will live full time in Preuilly and the Blog is a way of letting people get to know us. They can see that we care about our house and its history and we care about Preuilly and life in the area. We've been really pleased by the number of local people who at least know about the Blog and approve, and some even read it every day. We do have quite a few regular and loyal readers too, from other places in France, Britain, North America, Sweden and Australia, which is very rewarding. Perhaps the most rewarding of all is that sometimes people contact us by email* to tell us that they spent all their childhood summer holidays in Preuilly or had their wedding reception in a nearby château or are restoring a house in the Loire Valley like us. It took Mike and Cally several years to work out which 'Preuilly' the paintings depicted (there are at least five towns in France called 'Preuilly'). Twelve months ago, unbeknownst to us, they came through town on a miserable cold dull day, and easily identified the subject of one of the paintings as l'Abbaye de St Pierre, but they could not figure out the subject of the second painting. 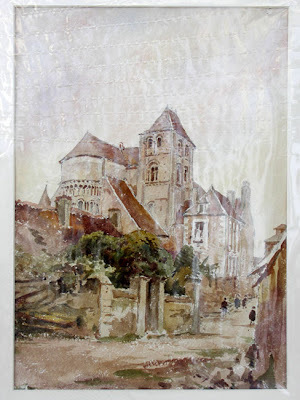 Meanwhile, I had emailed Mike's photos to Bernard de la Motte, President of the Historical/Archaeological Society of Preuilly sur Claise and he came back to us, confirming that the second watercolour was Notre Dame des Echelles. He was very excited. Both paintings show the churches before significant alterations took place in the late 19th century. In the case of the Abbaye, the original Romanesque tower partially collapsed and was re-roofed in 1867, in the Burgundian style with a tall peaked roof of red and green tiles. It is both garishly coloured and out of proportion in comparison to the rest of the building. Even in Preuilly's official literature it is described as 'ill-advised' or 'in dubious taste'. The alterations to the Abbaye are reasonably well documented though, so the really exciting picture is the one of Notre Dame des Echelles. 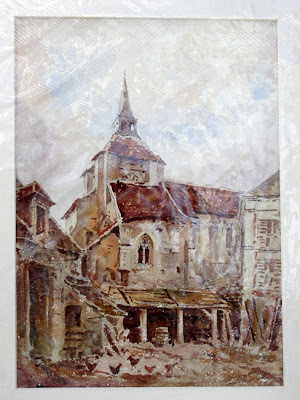 Bernard does not know of any other image which shows Notre Dame des Echelles with its clocher (bell-tower) in situ (except for a general view of the town which shows it tiny and distant) and prior to Mike emailing us, Bernard was unaware of the Petit paintings' existance. Petit's paintings are very detailed, and in extremely good condition (no fading, no foxing) and, we believe, a very accurate depiction. Bernard is 'sur un nuage' (on a cloud) following his acquisition. 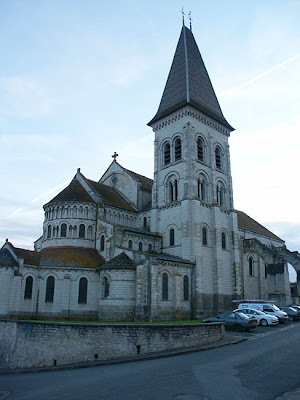 He tells me that the bell-tower was probably added to Notre Dame des Echelles when it was restored in the 15th century. 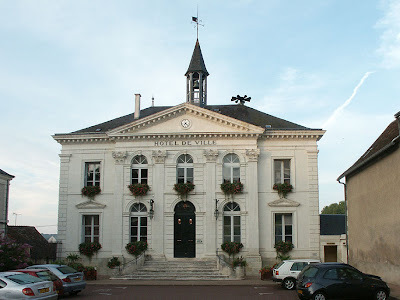 The bell itself is the oldest in Preuilly, and still exists, in a not dissimilar clocher, atop the Mairie! Bernard, like us, is amazed at the series of coincidences that lead to the creation, rediscovery and 'return' of these paintings. He says: 'Que dire par ailleurs de ce merveilleux concours de circonstances: découvert par des amis australiens, d'un couple d'anglais ayant acquis des dessins d'un peintre anglais ayant passé deux jours à Preuilly...en 1858 par hasard! C'est une merveilleuse histoire.' He will be documenting the paintings and their significance in the next issue of the Cahiers de la Poterne, the journal of the Société Archéologique de Preuilly. We are very proud to have played a part in this story – indeed perhaps to have made it possible at all. This is the first real tangible benefit to the community of Preuilly-sur-Claise that the Blog has produced, and that is a great feeling. *You can email us privately by going to our profiles, where there is a link to our email address. 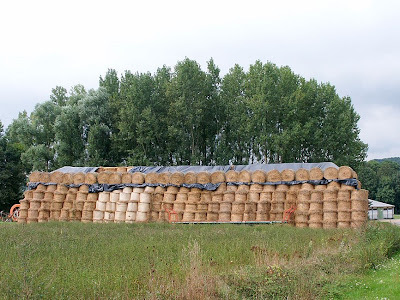 When my friends Rick and Helen were in Preuilly sur Claise, Rick was amazed by how much hay a small field can produce. In Australia during a drought hay is a very expensive commodity - as anyone who has owned a horse can attest. So just for Rick a photo of some hay, now that the crop is in and under wraps. 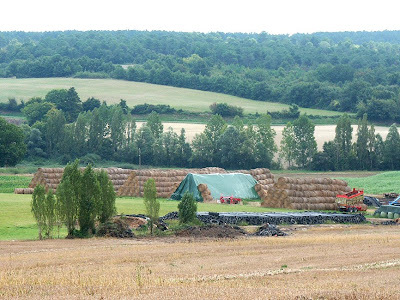 This is not, however the largest haystack in the area - and I am guessing that neither of the following (on one farm on the road between Preuilly and la Roche Posay) are the largest in the area, either. Bringing in the washing in Preuilly is often an exciting wildlife experience. A few weeks ago, I had to flick a Scutie (House Centipede Scutigera coleoptrata) off a pair of Simon's underpants before unpegging them. Since he has been bitten once by a Scutie, resulting in a very painful, swollen and purple finger, he blanched at the thought of what might have occurred had I not noticed the beast. A couple of days ago though, he was engaged in the same domestic task and found something much more appealing clinging to a tee-shirt. 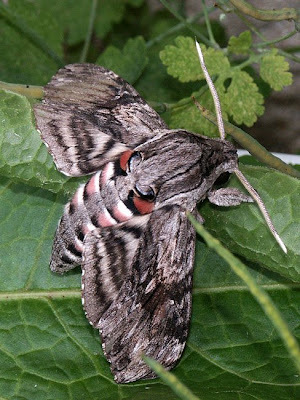 The Convolvulus Hawkmoth (Sphinx du Liseron) Agrius convolvuli is a large and very beautiful mottled grey moth, that appears in the late summer-autumn having migrated from Africa. They occur in Europe, Asia, Africa and Australia, but not America. 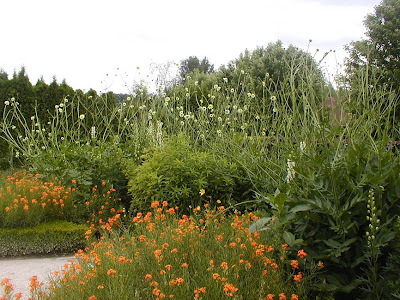 They can be seen in the evening hovering in front of long tubular flowers, extracting the nectar with their exceptionally long tubular 'tongue' (much longer than their body!) – rather like the Hummingbird Hawkmoths I wrote about a few weeks ago. They are called Convolvulus Hawkmoths because their caterpillars feed on Field Bindweed Convolvulus arvensis. They don't breed very much in Europe though. With a wingspan of 80 - 120 mm (and generally over 10 cm), they are in the top three biggest moths that you could see in Preuilly. 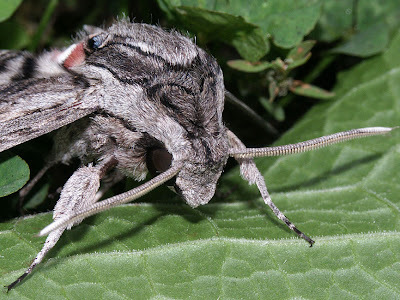 The Giant Peacock Moth is bigger, but the Convolvulus Hawkmoth's more common cousin, the Hummingbird Hawkmoth is only a quarter the size, at 40 - 50 mm across, and would be lucky to make it into the top 10 size-wise. Don't forget to click on the images to bring them up bigger in a new window, to get the full effect of the patterns. It has been a strange summer this year. Talk to anyone in France and they will tell you how poor the weather has been. Yet, strangely, it hasn't rained all that much in Preuilly since June. For sure every day lately, at about 11.00am it looks likes it is going to rain. Sometimes it looks like it is going to storm like it has never stormed before. Last Sunday at 10.00 it looked like the final apocalypse was going to arrive in the shape of a thunderstorm. I even got in the car to take photos of how dark and dramatic the storm was looking over the autumn landscape. Not only did I not get any photos because the clouds had started to break up, but by 4.00pm it was as clear as a bell. This has played havoc with my painting regimen. Last year I sanded back the oak windows in the house. The two windows downstairs were given two coats of undercoat and two coats of topcoat and look beautiful. 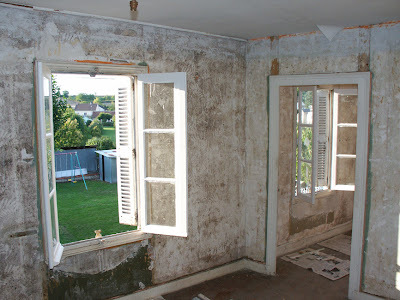 The windows upstairs, however, were just rehung as is - reglazed and sanded, but unpainted. In May this year Susan's mother gave them a first undercoat, but having an almost continual stream of guests ( not TOTALLY just an excuse), more pressing needs (like the front door and its associated leaks) and failure to guess what the weather was going to do has meant that the windows have remained unpainted - until now. Yesterday morning I decided to risk painting the windows. The weather started clear but cool, so I started painting. The paint was a bit thick, but I decided it wasn't really a problem. Then I decided it was a problem and a dash of white spirit was needed to dilute it. I had no white spirit, so I wrapped the paintbrush in clingfilm, closed the can of paint and drove to Gamm Vert, our nearest garden/hardware store (actually in Preuilly itself). Being Monday morning, they were shut. This meant that I had to drive to Yzeures and Bricomarche which I did. On the way back from Yzeures it started to cloud over. This was an annoyance, but as I had started, I was going to finish. This meant that at 12.30, when all good Frenchmen were eating their lunch, I was still painting with my now beautifully dilute paint - and getting increasingly concerned about what the weather was going to do. After tidying up and having lunch (during which I managed to get more tomato soup on my painting clothes than I had paint) I decided to take advantage of the approaching storm. I did a hand wash. Anyone who has hand washed any amount of clothing will know that the main problem is rinsing the soap out of the cleaned items. My method of coping with this is to wash the stuff, then hang it on the line in the rain. Yesterday, as usual, it didn't rain. But at least the paint has dried. 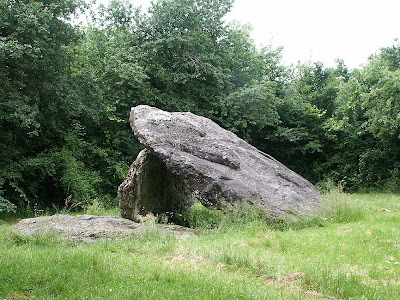 La Gargantua is a pleasant place for a picnic, sheltered all around by trees. Like many of this type of prehistoric monuments it sits on the promontory of a ridge. Probably it once overlooked the river valley, but now the trees block the view. If you visit in the early summer, the skylarks in the fields either side of the track in to the site are performing relentlessly over the pasture, flying up and up and up, all the while sending out their (to my ears) rather raspy song, so beloved of English poets, then plummeting to earth with arched wings pulled back, tail erect, only to be replaced in the sky by their neighbour and rival. If the weather is poor and picnicking out of the question, then you can do no better than to eat at La Gargantua, the little restaurant in nearby Charnizay. See my recent post about dining out with my coeliac brother-in-law for our own very positive experience (it's the little restaurant that was new to us). 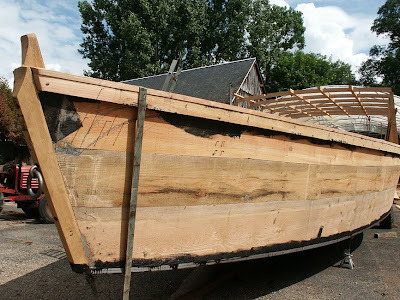 Up until the early 20th century, the rivers in the Loire Valley were an important link in the transport system, and there are many styles of boats unique to the area, often adapted to transporting quite specific cargoes. One type of riverboat that you can still see are the small flat bottomed punts called barques. 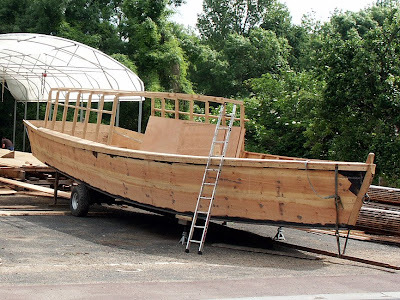 You can hire them in quite a few places and there are still a few workshops in the area making these boats in the traditional way. On the day Simon was passing this boatyard though, they were making a somewhat bigger river boat, probably to take small groups of tourists on short day cruises. Out the front of Notre Dame de Paris is an imposing bronze statue of Charlemagne, mounted and attended by men with serious moustaches, in the sentimentally nostalgic and romantic style of the 19th century vision of Gaul. The statue is set very high on a massive pier, to add to its magnificent appearance. 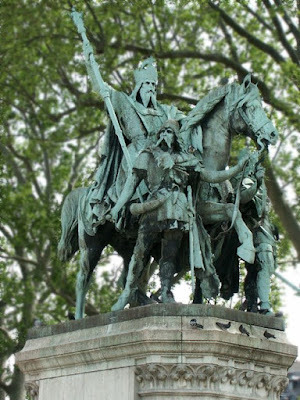 I strongly suspect the costume designer for Astérix & Obélix: Mission Cléopâtre modelled at least some of the wiley and courageous Gauls' outfits on the fine upstanding chaps in the statue, even though Charlemagne was several hundred years after the Roman's had given up and gone home. I can highly recommend Astérix and Obélix: Mission Cléopâtre as a hilarious way to practice your French aural comprehension, by the way. 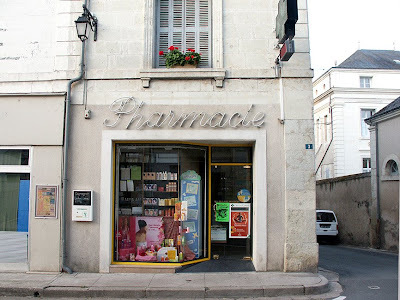 Numéro 8, Place des Halles, Preuilly sur Claise has long had occupants selling goods that provide colour and fun in our lives. 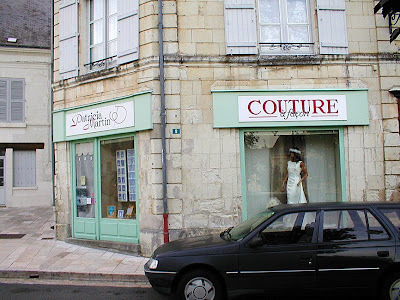 Now it is the shop window for the couturier Patricia Martin's workshop, but in 1920 it was occupied by a travelling showman. According to Roger Lezeau, Monsieur Lechippre was, by vocation, a travelling salesman. He sold trumpets and tin drums and children's flutes (mirliton) made of cardboard decorated with ribbons of multi-coloured paper which ran onto the lips of the budding musicians, and many other things more marvellous still at all the neighbourhood gatherings. The preferred surroundings of Monsieur Lechippre were these festivals where one could ride on Lépine's merry-go-round with the barrel-organ that was decorated like a sultan and a sultana beating the measure to the sound of 'On the rolling sea, to the murmur of a perfumed breeze' (Sur les flots berceurs, au murmure d'une brise embaumée)...more often a flood of droppings from the goats that towed the merry-go-round. 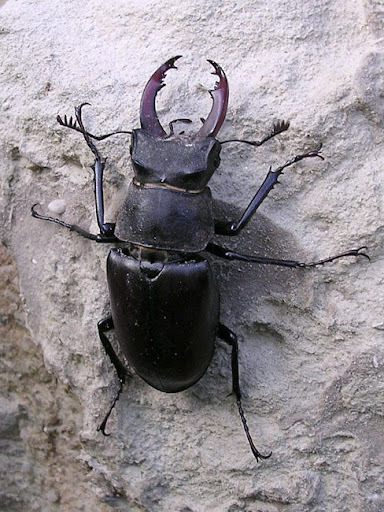 For some reason, there are some really big beetles in France. 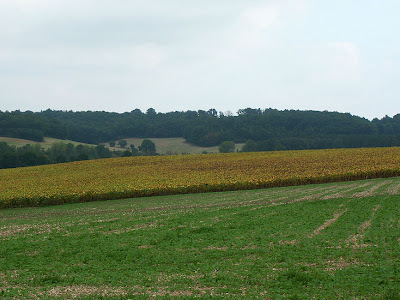 Many of the species also occur in Britain, but the French specimens are significantly bigger than their British brothers, and some species are particularly large, even for France, in the secret, mysterious and largely undisturbed patches of woodland in the Brenne. 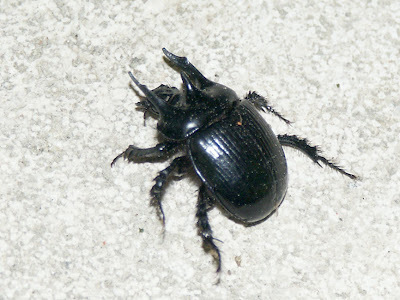 But you don't have to have privileged access to the nature reserves to see impressive local beetle species -- just step outside your door in Preuilly and check out the walls, bare ground and tree trunks around you. Rhinoceros Beetle (Scarabée rhinocéros) Oryctes nasicornis - female. Well, alright, she's not quite black, but she is big -- about 35mm. I found her in the house in June. They are apparently very common in sawmills, as they breed in sawdust. 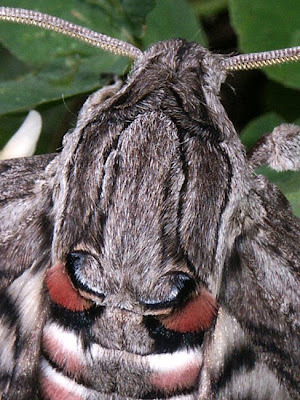 Males have a much longer 'horn'. Stag Beetle (le lucane cerf-volant) Lucanus cervus - perhaps the most magnificent of the big European beetles, this is a male. They are locally common, but more and more threatened, as they require standing dead wood in which they can spend 3-5 years as a larva. As a consequence they are protected in both France and Britain. They are very heavy and males are most often seen in this position, climbing a wall in the evening in order to launch themselves in search of females during May to August. They can be somewhat alarming in the air, as they fly with all six legs extended in a vertical plane with their body, and don't appear to have much steering or control. Simon and I have been 'chased' down the street by a very large one near our house, but this medium-large one was sitting on a wall near Jill and John's house in June. The size of this species varies enormously, and I have picked up especially large sets of antlers and elytra (wing cases) in the Bois de Las in the Brenne (not accessible to the public). All the French specimens I have seen are very much bigger than any I have seen in Britain. 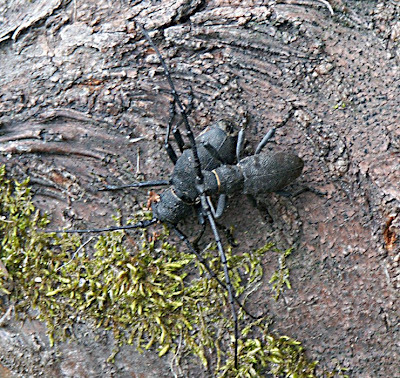 Morimus asper - male and female. 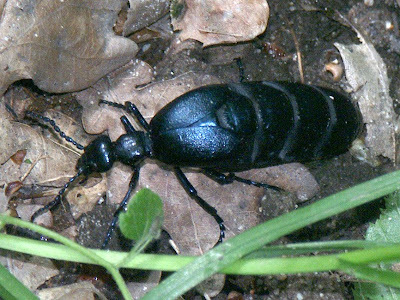 The female is big bodied with shorter antennae; the male is much smaller, but with enormously long antennae. 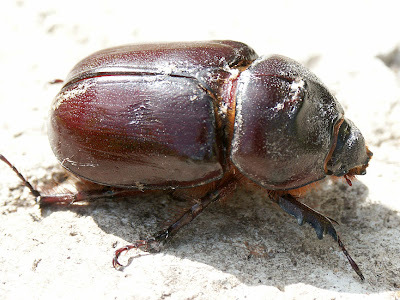 They belong to that family of beetles known, for obvious reasons, as longhorns, and similarly to the Stag Beetles, are increasingly rare as they need standing dead wood to develop their larvae. We found this pair (and four of their friends) on birch logs in Haute Vienne in May. Violet Oil Beetle (Méloé violet) Meloe violaceus - female, flightless, a parasite of bees (although adults eat the leaves of poisonous plants to keep up their supply of smelly, poisonous 'oil' which they can exude if threatened). Oil beetle larvae clamber up the tallest flower stalk they can find immediately that they hatch. They then hitch a ride on a visiting bee and get transported back to the nest, where they avail themselves of the nice warm home and the endless supply of free food. Once again, an increasingly uncommon species, but can be encountered quite frequently in the Forêt de Preuilly from April to July (this one is from June). Females are much bigger than males. 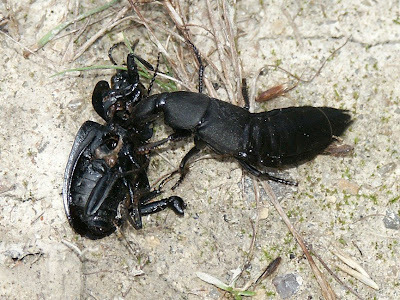 The Devil's Coach Horse (Le staphylin odorant ou 'le diable') Staphylinus olens - a large velvety rove beetle that hunts slugs and other invertebrates (I'm not quite sure what species the beetle victim is here). Like all rove beetles they are important processors of dead and decaying matter on the ground. 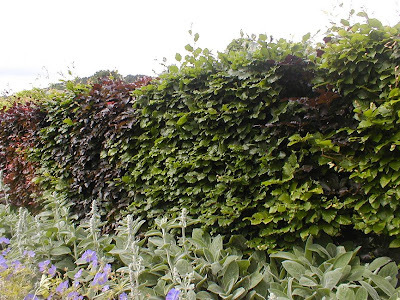 Common in woods, gardens, outbuildings, hedgerows, from April to October. When alarmed it will raise its tail and look threatening, perhaps mimicking a scorpion. This one was on a track in the Forêt de Preuilly in July. 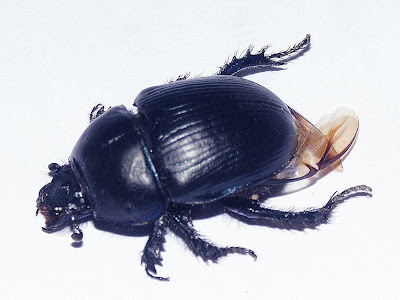 Dor Beetle (Bousier) Geotrupes stercorarius - Europe's largest dung beetle, often encountered on the forest floor or even in the street from April to October, but mainly a processor of cow dung, which it uses by digging a shaft under a cow pat and burying the dung which it then lays its eggs in. The larvae hatch to a ready supply of food. These beetles are the most brilliant metallic blue underneath, but it is almost impossible to capture this in a photograph. I found this one in the street in September. Lesser Stag Beetle (La petite biche) Dorcus parallelopipedus - looks a lot like a female Stag Beetle, but has a much wider head, with no 'shoulders', and quite matt charcoal looking, rather than the 'polished mahogany' appearance of the Stag Beetle. 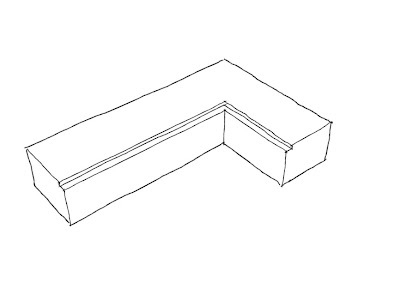 Commonly found on oak woodpiles. 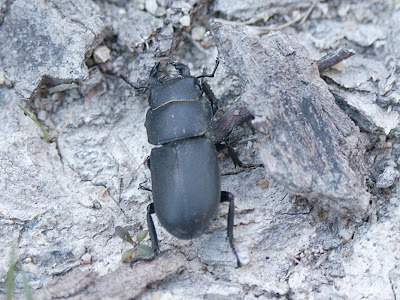 Much more abundant than the Stag Beetle because it is much less picky about where it grows up -- Lesser Stag Beetles breed in rotting stumps. Once again the French specimens are significantly larger than the British ones. Adults are out and about from April to October. This one is from July in the Forêt de Preuilly. Minotaur Beetle (le Minotaure) Typhaeus typhoeus - another dung beetle, this one is male and the species buries mainly rabbit droppings, but also sheep and deer, for the family larder. This one was photographed on the steps of the chapel at Chanceaux près Loches in May, but they are apparently mostly found in sandy places. 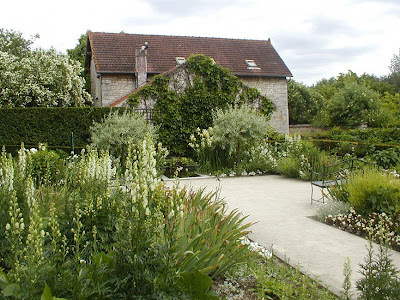 There are two beautiful gardens with public access in Giverny. One is the garden of the French Impressionist artist Claude Monet, which is always packed and entry costs €5.50 per person. The other is the garden of the American Museum of Art, a foundation which aims 'to promote a greater understanding and appreciation of America's rich artistic and cultural heritage for the benefit of a diverse audience', and is free. 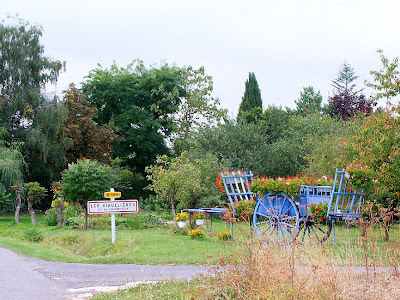 It is the American Museum's garden which is situated directly across the street from the carpark in Giverny, and I wonder how many visitors don't do their homework and believe they have visited Monet's garden, without realising that it is a 500m walk further down the street? It nearly fooled me, but I was puzzled by not seeing any of the views I knew from photographs and paintings, so eventually I resorted to reading the directions on the noticeboard. 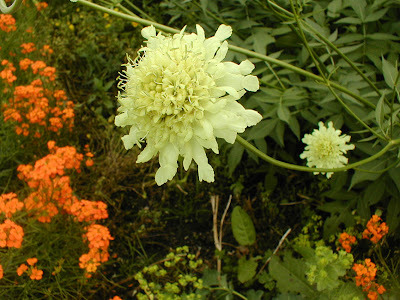 A lovely pale yellow scabious, beloved of butterflies on a sunny day (which, sadly, this wasn't). 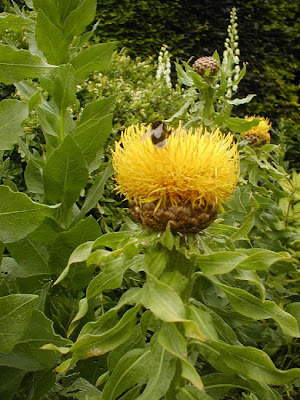 But the self heating bumbles were out, visiting the safflower. 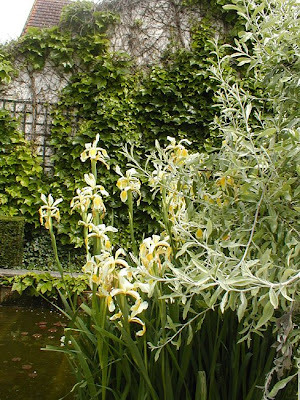 A weeping pear encroaches on some water iris planted in a formal pool.